1 Zhang, Y., Zhang, Y., Li, G., Lu, J., Lin, X., Tan, Y., Feng, X., Du, S., Müllen, K. & Gao, H.-J. Construction of single-crystalline supramolecular networks of perchlorinated hexa-peri-hexabenzocoronene on Au(111). Journal of Chemical Physics 142, 101911, doi:doi: /10.1063/1.4907369 (2015). 2 Lei, Y., Liu, B., Lu, J., Lin, X., Gao, L., Guisinger, N. P., Greeley, J. P. & Elam, J. W. Synthesis of palladium nanoparticles on TiO2(110) using a beta-diketonate precursor. Physical Chemistry Chemical Physics: PCCP 17, 6470-6477, doi:10.1039/c4cp05761a (2015). 3 Zhang, Y., Zhang, Y., Li, G., Lu, J., Lin, X., Du, S., Berger, R., Feng, X., Muellen, K. & Gao, H.-J. Direct visualization of atomically precise nitrogen-doped graphene nanoribbons. Applied Physics Letters 105, 023101, doi:10.1063/1.4884359 (2014). 4 Zhang, Y., He, W., Wen, K., Wang, X., Lu, H., Lin, X. & Dickerson, J. H. Quantitative evaluation of Coulombic interactions in the oriented-attachment growth of nanotubes. Analyst 139, 371-374, doi:10.1039/c3an01261a (2014). 5 Xu, W.-Y., Huang, L., Que, Y.-D., Lin, X., Wang, Y.-L., Du, S.-X. & Gao, H.-J. Effects of graphene defects on Co cluster nucleation and intercalation. Chinese Physics B 23, 088108, doi:10.1088/1674-1056/23/8/088108 (2014). 6 Xu, W.-Y., Huang, L., Que, Y.-D., Li, E., Zhang, H.-G., Lin, X., Wang, Y.-L., Du, S.-X. & Gao, H.-J. High quality sub-monolayer, monolayer, and bilayer graphene on Ru(0001). Chinese Physics B 23, 098101, doi:10.1088/1674-1056/23/9/098101 (2014). 7 Woods, C. R., Britnell, L., Eckmann, A., Ma, R. S., Lu, J. C., Guo, H. M., Lin, X., Yu, G. L., Cao, Y., Gorbachev, R. V., Kretinin, A. V., Park, J., Ponomarenko, L. A., Katsnelson, M. I., Gornostyrev, Y. N., Watanabe, K., Taniguchi, T., Casiraghi, C., Gao, H. J., Geim, A. K. & Novoselov, K. S. Commensurate-incommensurate transition in graphene on hexagonal boron nitride. Nature Physics 10, 451-456, doi:10.1038/nphys2954 (2014). 8 Song, Y. Q., Liu, A. F., Pan, Y., Wang, X. N., Hu, J. R., Hou, X. R., Lin, X. & He, W. D. Separation-dependence evolution of inter-particle interaction in the oriented-attachment growth of nanorods: a case of hexagonal nanocrystals. Analyst 139, 3393-3397, doi:10.1039/c4an00187g (2014). 9 Pan, Y., Zhang, L., Huang, L., Li, L., Meng, L., Gao, M., Huan, Q., Lin, X., Wang, Y., Du, S., Freund, H.-J. & Gao, H.-J. Construction of 2D Atomic Crystals on Transition Metal Surfaces: Graphene, Silicene, and Hafnene. Small 10, 2215-2225, doi:10.1002/smll.201303698 (2014). 10 Mu, R., Cantu, D. C., Lin, X., Glezakou, V.-A., Wang, Z., Lyubinetsky, I., Rousseau, R. & Dohnalek, Z. Dimerization Induced Deprotonation of Water on RuO2(110). Journal of Physical Chemistry Letters 5, 3445-3450, doi:10.1021/jz501810g (2014). 11 Li, J. F., Wen, K. C., He, W. D., Wang, X. N., Lu, W. Q., Yan, P. F., Song, Y. Q., Lu, H. L., Lin, X. & Dickerson, J. H. Coulombic interaction in the colloidal oriented-attachment growth of tetragonal nanorods. Chinese Physics B 23, 056103, doi:10.1088/1674-1056/23/5/056103 (2014). 12 He, W. D., Lin, X., Lv, W. Q. & Dickerson, J. H. Electrochemical devices with optimized gas tightness for the diffusivity measurement in fuel cells. International Journal of Hydrogen Energy 39, 2334-2339, doi:10.1016/j.ijhydene.2013.11.110 (2014). 13 Cao, H. Q., He, W. D., Mao, Y. W., Lin, X., Ishikawa, K., Dickerson, J. H. & Hess, W. P. Recent progress in degradation and stabilization of organic solar cells. Journal of Power Sources 264, 168-183, doi:10.1016/j.jpowsour.2014.04.080 (2014). 14 Lin, X., Wang, Z.-T., Lyubinetsky, I., Kay, B. D. & Dohnalek, Z. Interaction of CO2 with oxygen adatoms on rutile TiO2(110). Physical Chemistry Chemical Physics: PCCP 15, 6190-6195, doi:10.1039/c3cp44040k (2013). 15 He, W., Zou, J., Wang, B., Vilayurganapathy, S., Zhou, M., Lin, X., Zhang, K. H. L., Lin, J., Xu, P. & Dickerson, J. H. Gas transport in porous electrodes of solid oxide fuel cells: A review on diffusion and diffusivity measurement. Journal of Power Sources 237, 64-73, doi:10.1016/j.jpowsour.2013.02.089 (2013). 16 He, W., Lin, X., Dickerson, J. H. & Goodenough, J. B. An electrochemical device for three-dimensional (3D) diffusivity measurement in fuel cells. Nano Energy 2, 1004-1009, doi:10.1016/j.nanoen.2013.03.022 (2013). 17 Acharya, D. P., Yoon, Y., Li, Z., Zhang, Z., Lin, X., Mu, R., Chen, L., Kay, B. D., Rousseau, R. & Dohnalek, Z. Site-Specific Imaging of Elemental Steps in Dehydration of Diols on TiO2(110). ACS Nano 7, 10414-10423, doi:10.1021/nn404934q (2013). 18 Zhang, Z., Yoon, Y., Lin, X., Acharya, D., Kay, B. D., Rousseau, R. & Dohnalek, Z. OH Group Dynamics of 1,3-Propanediol on TiO2(110). Journal of Physical Chemistry Letters 3, 3257-3263, doi:10.1021/jz301412m (2012). 19 Yang, B., Pan, Y., Lin, X., Nilius, N., Freund, H.-J., Hulot, C., Giraud, A., Blechert, S., Tosoni, S. & Sauer, J. Stabilizing Gold Adatoms by Thiophenyl Derivatives: A Possible Route toward Metal Redispersion. Journal of the American Chemical Society 134, 11161-11167, doi:10.1021/ja300304s (2012). 20 Lin, X., Yoon, Y., Petrik, N. G., Li, Z., Wang, Z.-T., Glezakou, V.-A., Kay, B. D., Lyubinetsky, I., Kimmel, G. A., Rousseau, R. & Dohnalek, Z. Structure and Dynamics of CO2 on Rutile TiO2(110)-1x1. Journal of Physical Chemistry C 116, 26322-26334, doi:10.1021/jp308061j (2012). 21 He, W., Lin, J., Lin, X., Lu, N., Zhou, M. & Zhang, K. H. L. The evaluation of Coulombic interaction in the oriented-attachment growth of colloidal nanorods. Analyst 137, 4917-4920, doi:10.1039/c2an35950b (2012). 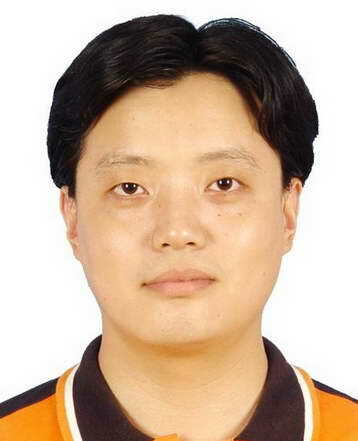 22 Zhang, L., Cheng, Z., Huan, Q., He, X., Lin, X., Gao, L., Deng, Z., Jiang, N., Liu, Q., Du, S., Guo, H. & Gao, H.-j. Site- and Configuration-Selective Anchoring of Iron-Phthalocyanine on the Step Edges of Au(111) Surface. Journal of Physical Chemistry C 115, 10791-10796, doi:10.1021/jp203046b (2011). 23 Yang, B., Lin, X., Nilius, N. & Freund, H.-J. Role of the V2O3(0001) Defect Structure in the Adsorption of Au Adatoms. Journal of Physical Chemistry C 115, 3404-3409, doi:10.1021/jp110750z (2011). 24 Sun, J. T., Gao, L., He, X. B., Cheng, Z. H., Deng, Z. T., Lin, X., Hu, H., Du, S. X., Liu, F. & Gao, H. J. Surface reconstruction transition of metals induced by molecular adsorption. Physical Review B 83, 115419, doi:10.1103/PhysRevB.83.115419 (2011). 25 Yang, B., Lin, X., Gao, H.-J., Nilius, N. & Freund, H.-J. CO Adsorption on Thin MgO Films and Single Au Adatoms: A Scanning Tunneling Microscopy Study. Journal of Physical Chemistry C 114, 8997-9001, doi:10.1021/jp100757y (2010). 26 Lin, X., Yang, B., Benia, H.-M., Myrach, P., Yulikov, M., Aumer, A., Brown, M. A., Sterrer, M., Bondarchuk, O., Kieseritzky, E., Rocker, J., Risse, T., Gao, H.-J., Nilius, N. & Freund, H.-J. Charge-Mediated Adsorption Behavior of CO on MgO-Supported Au Clusters. Journal of the American Chemical Society 132, 7745-7749, doi:10.1021/ja101188x (2010). 27 Lin, X., Nilius, N., Sterrer, M., Koskinen, P., Hakkinen, H. & Freund, H.-J. Characterizing low-coordinated atoms at the periphery of MgO-supported Au islands using scanning tunneling microscopy and electronic structure calculations. Physical Review B 81, 153406, doi:10.1103/PhysRevB.81.153406 (2010). 28 Lin, X., Nilius, N., Freund, H. J., Walter, M., Frondelius, P., Honkala, K. & Hakkinen, H. Quantum Well States in Two-Dimensional Gold Clusters on MgO Thin Films. Physical Review Letters 102, 206801, doi:10.1103/PhysRevLett.102.206801 (2009). 29 Simic-Milosevic, V., Heyde, M., Lin, X., Koenig, T., Rust, H.-P., Sterrer, M., Risse, T., Nilius, N., Freund, H.-J., Giordano, L. & Pacchioni, G. Charge-induced formation of linear Au clusters on thin MgO films: Scanning tunneling microscopy and density-functional theory study. Physical Review B 78, 235429, doi:10.1103/PhysRevB.78.235429 (2008). 30 Lin, X. & Nilius, N. Self-assembly of MgPc molecules on polar FeO thin films. Journal of Physical Chemistry C 112, 15325-15328, doi:10.1021/jp8053026 (2008). 31 Liu, Z., Bai, G., Huang, Y., Li, F., Ma, Y., Guo, T., He, X., Lin, X., Gao, H. & Chen, Y. Microwave absorption of single-walled carbon nanotubes/soluble cross-linked polyurethane composites. Journal of Physical Chemistry C 111, 13696-13700, doi:10.1021/jp0731396 (2007). 32 Huang, Y., Li, N., Ma, Y., Feng, D., Li, F., He, X., Lin, X., Gao, H. & Chen, Y. The influence of single-walled carbon nanotube structure on the electromagnetic interference shielding efficiency of its epoxy composites. Carbon 45, 1614-1621, doi:10.1016/j.carbon.2007.04.016 (2007). 33 Gao, L., Sun, J. T., Cheng, Z. H., Deng, Z. T., Lin, X., Du, S. X. & Gao, H. J. Structural evolution at the initial growth stage of perylene on Au(111). Surface Science 601, 3179-3185, doi:10.1016/j.susc.2007.05.050 (2007). 34 Gao, L., Ji, W., Hu, Y. B., Cheng, Z. H., Deng, Z. T., Liu, Q., Jiang, N., Lin, X., Guo, W., Du, S. X., Hofer, W. A., Xie, X. C. & Gao, H. J. Site-specific Kondo effect at ambient temperatures in iron-based molecules. Physical Review Letters 99, 106402, doi:10.1103/PhysRevLett.99.106402 (2007). 35 Feng, M., Gao, L., Du, S., Deng, Z., Cheng, Z., Ji, W., Zhang, D., Guo, X., Lin, X., Chi, L., Zhu, D., Fuchs, H. & Gao, H. Observation of structural and conductance transition of rotaxane molecules at a submolecular scale. Advanced Functional Materials 17, 770-776, doi:10.1002/adfm.200600973 (2007). 36 Cheng, Z. H., Gao, L., Deng, Z. T., Liu, Q., Jiang, N., Lin, X., He, X. B., Du, S. X. & Gao, H. J. Epitaxial growth of iron phthalocyanine at the initial stage on Au(111) surface. Journal of Physical Chemistry C 111, 2656-2660, doi:10.1021/jp0660738 (2007). 37 Benia, H. M., Lin, X., Gao, H. J., Nilius, N. & Freund, H. J. Nucleation and growth of gold on MgO thin films: A combined STM and luminescence study. Journal of Physical Chemistry C 111, 10528-10533, doi:10.1021/jp0726891 (2007). 38 Shi, D. X., Ji, W., Lin, X., He, X. B., Lian, J. C., Gao, L., Cai, J. M., Lin, H., Du, S. X., Lin, F., Seidel, C., Chi, L. F., Hofer, W. A., Fuchs, H. & Gao, H. J. Role of lateral alkyl chains in modulation of molecular structures on metal surfaces. Physical Review Letters 96, 226101, doi:10.1103/PhysRevLett.96.226101 (2006). 39 Lin, X., He, X. B., Yang, T. Z., Guo, W., Shi, D. X., Gao, H. J., Ma, D. D. D., Lee, S. T., Liu, F. & Xie, X. C. Intrinsic current-voltage properties of nanowires with four-probe scanning tunneling microscopy: A conductance transition of ZnO nanowire. Applied Physics Letters 89, 043103, doi:10.1063/1.2234293 (2006). 40 Lin, X., He, X. B., Lu, J. L., Gao, L., Huan, Q., Deng, Z. T., Cheng, Z. H., Shi, D. X. & Gao, H. J. Manipulation and four-probe analysis of nanowires in UHV by application of four tunneling microscope tips: a new method for the investigation of electrical transport through nanowires. Surface and Interface Analysis 38, 1096-1102, doi:10.1002/sia.2333 (2006). 41 Li, N., Huang, Y., Du, F., He, X. B., Lin, X., Gao, H. J., Ma, Y. F., Li, F. F., Chen, Y. S. & Eklund, P. C. Electromagnetic interference (EMI) shielding of single-walled carbon nanotube epoxy composites. Nano Letters 6, 1141-1145, doi:10.1021/nl0602589 (2006). 42 Gao, L., Deng, Z. T., Ji, W., Lin, X., Cheng, Z. H., He, X. B., Shi, D. X. & Gao, H. J. Understanding and controlling the weakly interacting interface in perylene/Ag(110). Physical Review B 73, 075424, doi:10.1103/PhysRevB.73.075424 (2006). 43 Deng, Z. T., Lin, H., Ji, W., Gao, L., Lin, X., Cheng, Z. H., He, X. B., Lu, J. L., Shi, D. X., Hofer, W. A. & Gao, H. J. Selective analysis of molecular states by functionalized scanning tunneling microscopy tips. Physical Review Letters 96, 156102, doi:10.1103/PhysRevLett.96.156102 (2006). 44 Pan, A. L., Lin, X., Liu, R. B., Li, C. R., He, X. B., Gao, H. J. & Zou, B. S. Surface crystallization effects on the optical and electric properties of CdS nanorods. Nanotechnology 16, 2402-2406, doi:10.1088/0957-4484/16/10/068 (2005). 45 Lin, X., He, X. B., Lu, J. L., Gao, L., Huan, Q., Shi, D. X. & Gao, H. J. Four-probe scanning tunnelling microscope with atomic resolution for electrical and electro-optical property measurements of nanosystems. Chinese Physics 14, 1536-1543 (2005). 46 Feng, M., Guo, X. F., Lin, X., He, X. B., Ji, W., Du, S. X., Zhang, D. Q., Zhu, D. B. & Gao, H. J. Stable, reproducible nanorecording on rotaxane thin films. Journal of the American Chemical Society 127, 15338-15339, doi:10.1021/ja054836j (2005). 47 Wen, Y. Q., Song, Y. L., Jiang, G. Y., Zhao, D. B., Ding, K. L., Yuan, W. F., Lin, X., Gao, H. J., Jiang, L. & Zhu, D. B. Crystalline thin films formed by supramolecular assembly for ultrahigh-density data storage. Advanced Materials 16, 2018-2021, doi:10.1002/adma.200400543 (2004). 48 Wang, W. Q., Gong, Y., Liang, Z., Sun, F. L., Shi, D. X., Gao, H. J., Lin, X., Jiang, P. & Wang, Z. M. Direct observation of surface structure of D-alanine and D-/L-valine crystals by atomic force microscopy and comparison with X-ray diffraction analysis. Surface Science 512, L379-L384, doi:10.1016/s0039-6028(02)01570-4 (2002). 49 Liu, H. W., Yang, H. Q., Guo, H. M., Wang, Y. L., Lin, X., Pang, S. J. & Gao, H. J. Patterns formed on the dimer vacancy array of Si(100) by self-assembly. Nanotechnology 13, 729-732, doi:10.1088/0957-4484/13/6/306 (2002). 50 Gao, H. J., Shi, D. X., Zhang, H. X. & Lin, X. Ultrahigh data density storage with scanning tunneling microscopy. Chinese Physics 10, S179-S185 (2001).